When you give to our children, youth and families during the holiday season you are helping them experience a wonderful Christmas. Donating gift cards makes a significant difference in the lives of the many people we serve. 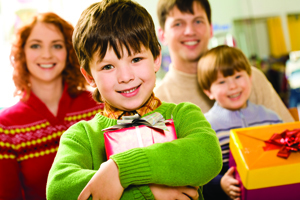 By giving financial support in the form of gift cards, you are empowering families to make good purchasing decisions. Please click on the Register Now link below to register as a gift certificate donor.